Wanna jot down lengthy URLs or season's greetings? Weary of copying and pasting images one by one? Gonna save rich media contents? +Clipboard is what a clipboard is meant to be. No more, no less. We believe simplicity is beauty, don't you? What exactly can you do with +Clipboard? ◦ You save text and images to clips. 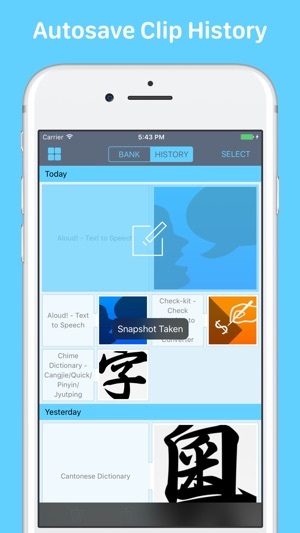 ◦ You retrieve a clip by simply clicking it. ◦ You edit clipboard text directly. 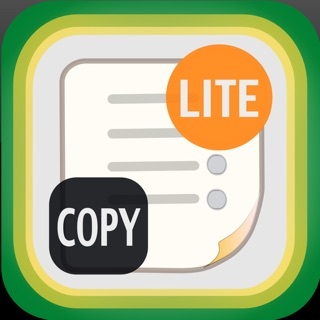 ◦ You won't lose your copies as they are automatically saved to history. ◦ You capture clips from other apps using the action extension. 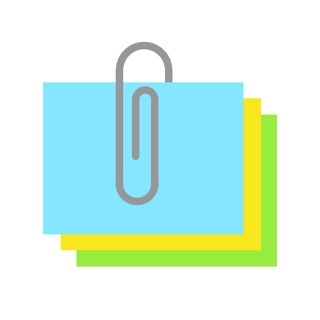 ◦ You retrieve clips in anytime through the Today widget. 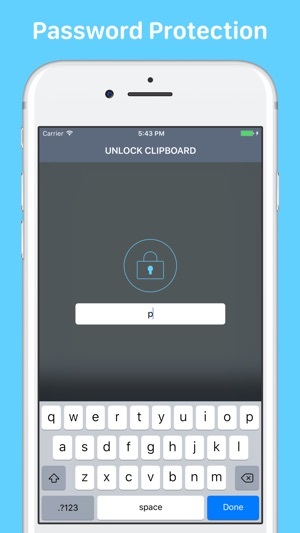 ◦ You lock the clipboard to prevent unauthorized access. If you like +Clipboard, please pay a visit to the App Store and leave a rating, or even better, a review! Learn with APO Studio on Facebook! There are no instructions for how to use the app and it is not intuitive Looked at their site on Facebook and didn’t find instructions either. Lots of claims about what the app can do but I can’t find any way to make it work so that pretty much makes it useless. That would be the fact you can't actually open a URL direct from the App like Copied and Snipnotes do. The developer promises to add this and I in turn promise 5 stars. To be able to open URL schemes would be a bonus! This is a very smooth working and running app. I use a lot of clipboard apps but this is one of my very favorites. I'm very impressed with it. But as of yet no one has designed a clipboard app that could collect your clips from the day and put them altogether. This would be very important for a person who is doing research. 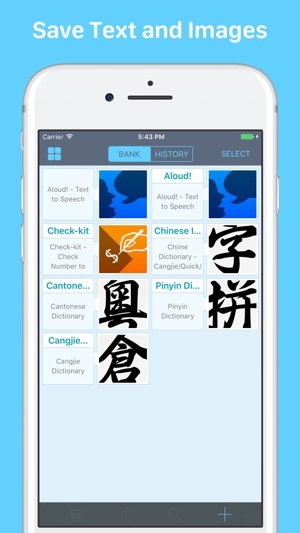 Anyone who could write this kind of app would really be doing the researchers a big favor. Think of all the students in college who have to do research papers. Once they found out about this kind of that they would all be clamoring both to get an iPhone and to get the app. I really hope this happens soon.